Fragrance inspired by the woman who seizes every opportunity in life with fierce optimism and passion. She strives for success and glamour. She loves and lives by her own rules. She is MISS SO...? The So…? 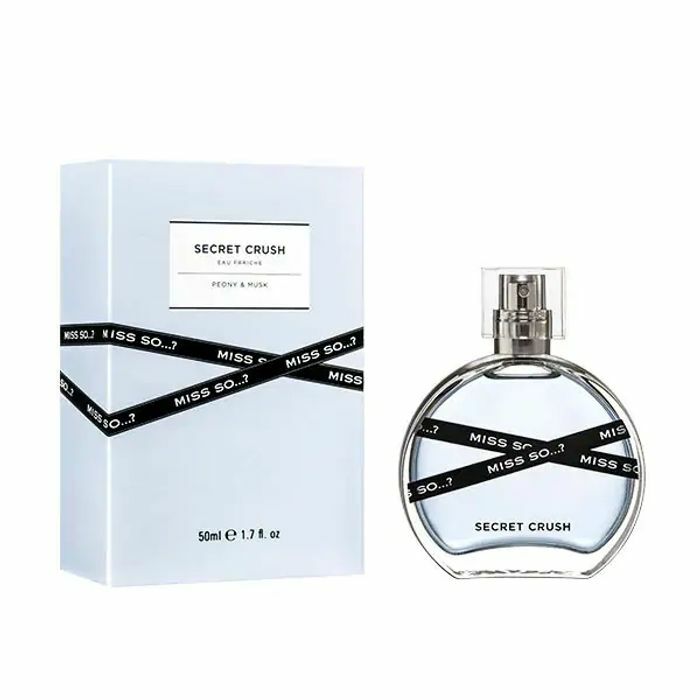 Secret Crush fragrance transports your senses to fields of peony and cherry blossom, settling into fruity notes of blushing apricot, before wrapping you in a sweet embrace of amber and musk.